Be it that you do some form of action sport or that you simply like photography and videography, a decent action camera with the highest possible resolution is a must! 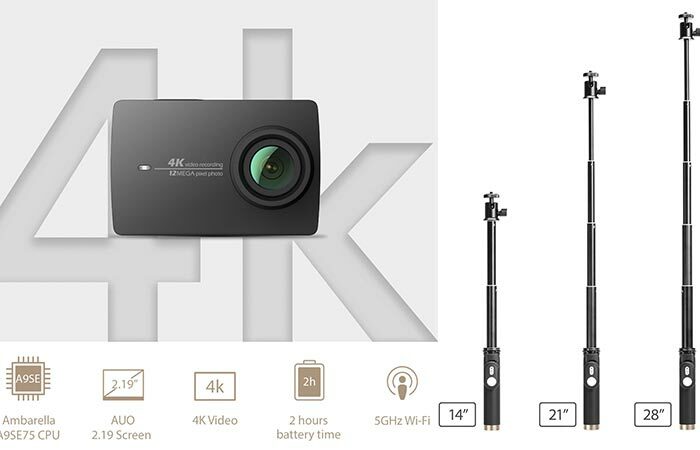 The higher the resolution, the more awesome your videos will be and that is exactly what the YI 4K Action Camera has to offer. With a stunning ultra HD resolution and a variety of top notch sensors as well as a preview screen, the YI Action Camera has everything that you need. Apart from its 4K resolution, this action camera comes with a selfie stick that can double as an adjustable stand as well as a Bluetooth remote so that you can take photos from afar. Starting off with the recording quality, the YI offers a native recording resolution of 4K at 30fps but can be set lower to 1080p at 120fps or 720p at 240fps. This allows you to capture footage in brilliant quality while the 155⁰ wide-angle lens with a F2.8 aperture allows you to capture 12 megapixel photos. To power all of this, you’ll be pleased to know that the YI features a rechargeable 1400mAh/ 4.4V lithium-ion battery that can record up to 120 minutes of 4K video with a single charge. Check out the review video below. This camera features cutting edge technology and the selfie stick also features 3 adjustable lengths. 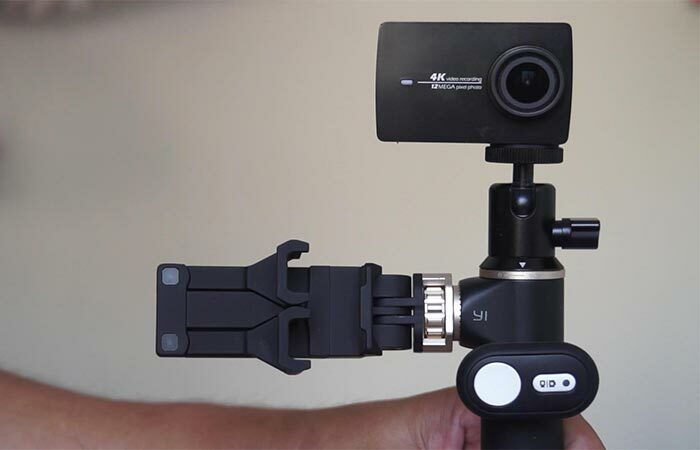 The YI Action Camera also features a built-in 2.19” LCD touchscreen with a 640 x 360 HD resolution for easy previewing and was designed with Corning Gorilla Glass to resist scratches. To top this all off, this camera features leading technologies such as the Ambarella A9SE75 chip, Sony IMX377 Image Sensor, 7 layers of glass lenses as well as Electronic Image Stabilization. To ensure that you always get the optimal angle and the perfect shot, the YI also comes with its own selfie-stick that can swivel 360-degrees horizontally and 180-degrees vertically and the wireless Bluetooth control allows you to take pictures without needing to hold the camera.